Enjoy the following photo gallery of the Neponset Estuary paddle trip, which took place on May 18, 2014. 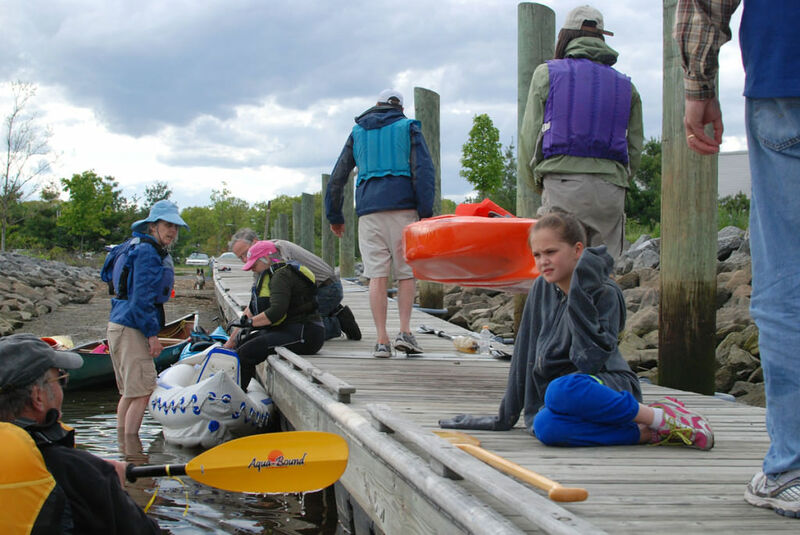 Special thanks goes to Board Member Maura O’Gara and Willet Pond Manager, Tom Palmer for leading the way! 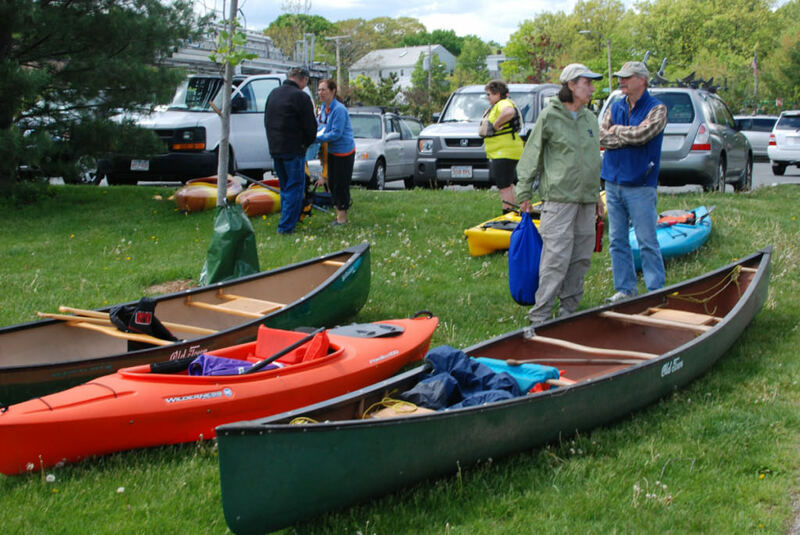 Last Sunday afternoon, eight kayaks and two canoes launched from the floating dock at DCR’s Neponset II Park in Dorchester and headed upriver on an incoming ten-foot tide. We were mostly meeting for the first time, having signed up on-line for NepRWA’s bring-your-own boat tour. We could have headed downstream to the river’s mouth at Squantum Point in Quincy, but the cool weather and northerly breeze persuaded us to take the narrower route. An estuary is that portion of a river where fresh and salt water mix and tidal influences dominate. The Neponset estuary begins in the cluster of former red-brick mills around the Adams St. bridge, where the highest tides lap the base of Baker Dam. In the old days this was the head of navigation, and we expected to go no further. 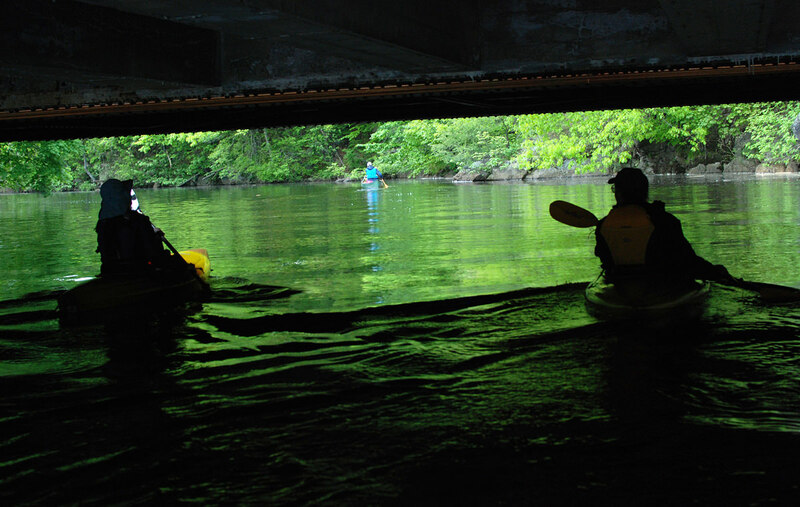 We had about five feet of headroom under the Granite Avenue bridge–more than enough, since we were all sitting down. Six out of ten of us were female, and we were not particularly young. 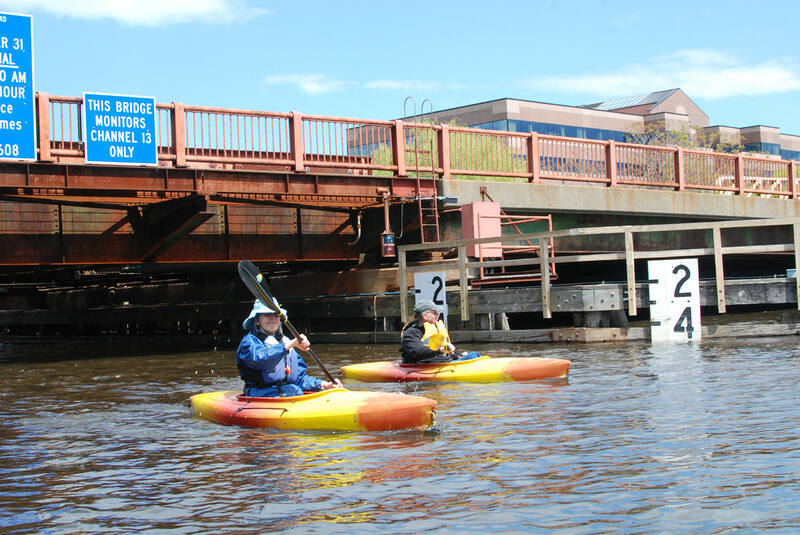 We were nudged along by NepRWA board member Maura O’Gara-Pratt in her speedy sky-blue kayak. As a canoeist, it was my impression that the kayaks covered more water with less effort than the canoes. 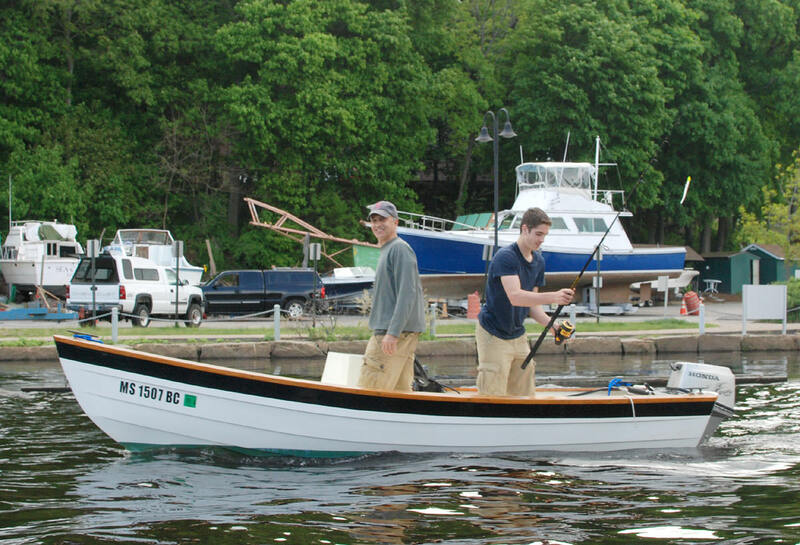 At Milton Landing we saw a couple of young guys trolling for stripers in a handsome lapstrake dinghy, though we didn’t see them hook any. We continued under the Mattapan trolley line bridge to the gorge below Adams St, where the wooded cliffs on either side shade most of the channel. You really can’t see this area except from a boat. A strong flow coming from the dam made it hard to ascend further. On our way back we stopped at Gulliver’s Creek in Milton and snaked about halfway up its twisty path, to where the ubiquitous channel-edge reeds give way to some surviving Spartina marsh. By then we realized that the stray kayaker we were looking for must have returned to the dock. She was waiting for us there with a family who was spending the afternoon fishing. By then the clouds had closed in and we were ready to go.